I'll try to write in English, but it's completely poor! 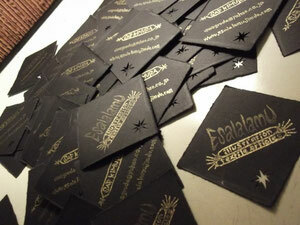 the shop name is Esalalamu. It's become a illustration and textile articles small shop! I start to make goods right now! Some of you like blog!So am I .I will keep a watchful eye on you. And Christ bids them believe in the light; but all they that hate the light, which Christ bids all believe in.